Another day, another tweak. NGXPlay adds a whole new dimension to your CarPlay experience. You can download this tweak for your iPhone below. Can you sideload this tweak? By default, you can only open compatible apps on your CarPlay screen. If any application is incompatible with CarPlay, it simply won’t work. This is where new Cydia tweak comes in. NGXPlay Cydia tweak runs any application on CarPlay regardless of their compatibility. It is developed by Eason Wu, who is a newcomer on the jailbreak scene. The whole point of CarPlay is to port your iPhone’s functionality to a screen in your car. This lets you use your iPhone straight from the screen thus protecting you from the dangers of using your smartphone while driving. Here’s a video demonstration of this tweak (thanks to Jay for the video). Enable – Enables or disables the tweak. FPS – Sets the “frames per second” metric for your screen. Applications – Enables the tweak for select iPhone apps. The only downside of this tweak is that it doesn’t run apps natively and simply “mirrors” them on your CarPlay screen. Furthermore, your apps will not feature a keyboard which can play spoilsport and ruin your immersion. Most tweak developers focus on iPhone so it’s great to see CarPlay getting some much-needed jailbreak love. NGXPlay is also compatible with the Waze navigation app and that alone makes jailbreaking worth it. Highly recommended. NGXPlay is available for download on https://repo.easonwu.org for free. It is compatible with iOS 10-11.3.1. If you want to test this tweak, you must own a CarPlay-compatible car. 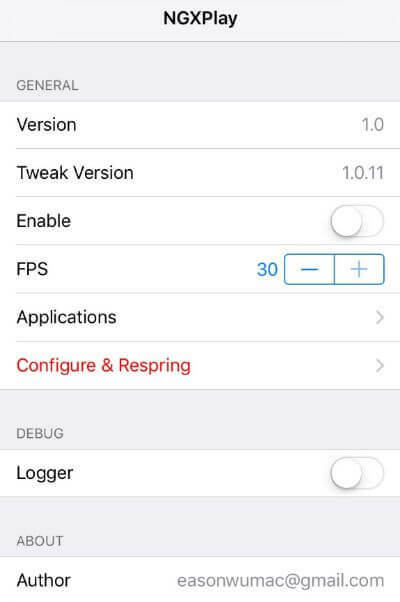 Remember, do not install this tweak on iOS 11.4 beta 1-beta 3 or below until the developer confirms that those versions are supported. Unfortunately, this tweak is not sideload-able as an IPA file. 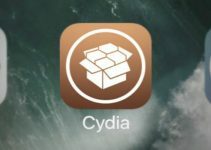 It relies on Cydia Substrate or Substitute, which is available only on a device running a jailbreak. Without Substrate or Substitute, it’s impossible to inject tweaks into the user interface and Springboard of iOS. Therefore, you must have a jailbreak-compatible firmware and device to run if you want to test this tweak out. For more updates, news and downloads, follow us on Facebook and Twitter. No, this tweak hasn’t been updated yet for iOS 12 or above. Can you please tell when it works with ios12? Sorry, the developer hasn’t teased any update so far so I have no idea when it might get updated for iOS 12. You can do that by using the YouTube app. IS IT WORKIN ON IOS 11.4.1? Did you add its repository? whan will it be available forIOS 11.3.1? When will it be available for IOS 11.3.1? You can’t download it without jailbreak.